Greece is a country rich in culture, history, archaeological sites that reflect the history of the country itself. Tourists to the place are captivated by the history itself. The country is regarded as a place of gods and goddesses who once touched the earth. 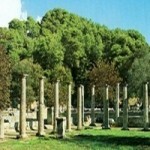 Read this guide to know more about the best archaeological sites in Greece. Greece offers travelers a unique experience from the Antiquity to the Modern Age. From ancient rituals to impressive temples, to open-air museums so huge that they could be accommodated in an island, this nation of philosophers is the right place to be if you are scouting for an impressive holiday. 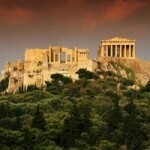 This guide will let you know more about the best archaeological sites in Greece. The Acropolis of Athens, also referred to as the Sacred Rock located in the highest point of Athens. It is regarded as a significant heritage of the Classical period and is also the most important monument in Europe. The main building on the Acropolis is the Parthenon temple, which is regarded as an architectural brilliance of ancient times. Visitors while climbing up to the rock of the Acropolis are filled with amazement and admiration for the masterpiece constructed on this very important and famous archaeological site. The Acropolis stands over the modern and bustling city of Athens and is a reminder that Athens was a part of a great civilization. The temples constructed here were since the Archaic times. The Acropolis as we see it now was a vision of a formidable politician named Pericles of the Classical Era. It was a military fortress in the Neolithic period because of its position which offers a marvelous view of the land and the sea. The famous buildings located here are the Parthenon, the Temple of Athena Nike and the Propylaea. The Athena Nike is located on the south of the entrance of the Acropolis and was built in remembrance of the victory of the Greeks against the mighty Persians. 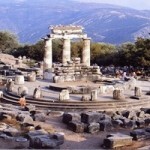 The Oracle of Delphi is one of the most majestic archaeological sites. The ancient Greeks were of the view that this was the center of the world or the “navel of the universe”. Visitors to Delphi are mesmerized by its inexplicable sacred character. This site was a significant oracle in the classical Greek world. Kings, ordinary citizens, statesmen and politicians used to consult the oracle during nine months in a year which was considered the warmest. The most impressive building at the oracle’s site is the Temple of Apollo, which was devastated in 373 B.C. by an earthquake. The holy precinct was arranged on different levels of the temple. The female deity of Earth used to be worshipped in the tiny settlement of Delphi during the Mycenaean Period. Visitors from across the Mediterranean used to visit the oracle of Delphi to seek the advice and guidance of the priestess Pythia. Visitors to this place were freed from their sins in the Castalian Spring. However, the oracles of Pythia were disgraceful on account of uncertain verdicts and were totally opposite of the Oracle of Delphi. The ancient Olympia, which is the shrine of Zeus, is located at the convergence of the Rivers Alpheios and Kladeos, close to the conical Kronios hill. The Olympic Games were held once every four years in honor of Zeus. This important archaeological site in Greece still draws in thousands of visitors every year, which is especially famous for old objects. The temple of Zeus, built in the 5th century B.C. housed the chryselephantine statue of Zeus, was a masterpiece of Phidias. It was also one of the Seven Wonders of the ancient world. The temple of Hera (Heraion-7th c. BC), which is located nearby, is one of the oldest temples in ancient Greece. Close to Heraion is a wonderful circular monument, constructed by the king Philip II of Macedon. The public buildings and different accommodations for the Olympic Games were built around the two temples. You can have a look at the Bouleuterion (Council House) from the south of the temple of Zeus. This was the place where the athletes took the oath. The other prominent buildings here are the Leonidaion, an accommodation for eminent visitors, the Palaistra, which was “the wrestling school”, the gymnasium built for the athletes to practice and the Prytaneion, a place for the umpires to sit. Another important archaeological site in Greece is the Sacred Island of Delos, which has been included in the World Heritage Monuments by the UNESCO. This site is in the centre of the Cyclades and is a tiny islet located a few miles from the renowned island of Mykonos. Delos is regarded as one of the most significant Pan-Hellenic sanctuaries of Greece. Greek mythology states that Delos was the place where Apollo, the god of light, was born. This also is the birth place of Artemis, the twin sister of Apollo regarded as the goddess of hunting. 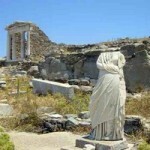 The Sacred island of Delos was considered a holy and blessed place in the ancient times. It was a famous religious as well as a trade hub. The excavations in the region began in 1873 by the French School of Archaeology. The inhabitants of the Mykonos were the first to know of the significance of Delos. The Athenians who were considered affluent and wealthy contributed a lot to the development of Delos. The Macedonians, with their pioneering vision understood the potential of the geographic location of the region. Without wasting any time, they transformed Delos into a flourishing commercial hub. The efforts of the archaeologists have gained fruit as much of Delo’s past has been unearthed. The Minoan Palace of Knossos is a well-known Greek archaeological site of the Minoan civilization and is situated in the suburbs of Ir?klio, Crete. Sir Arthur Evans was the man who carried out the excavations in Knossos. Besides being a royal residence, the place was also a political and ceremonial hub of Minoan culture. The place had storage rooms, religious locations, banquet halls and living quarters. The palace can be entered through the west wing, which will eventually lead you to the throne room in the central court. 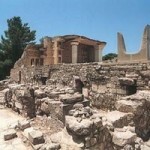 This used to be the place where the almighty prince of Knossos received his visitors from all parts of the world.